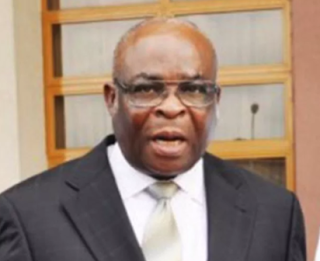 ABUJA–THE Coalition of United Political Parties, CUPP, Wednesday, alleged that the federal government was plotting to forge fake signature and resignation letter of the suspended Chief Justice of Nigeria, CJN, Justice Walter Onnoghen. “We have learnt that the Presidency is asking that he resigns immediately or he is arrested ahead of the election. “The opposition is armed with evidence of a failed attempt around 11pm Tuesday night to force the CJN to sign a draft resignation letter taken to him by a former Attorney-General Federation. CUPP, in the statement, added:”We further learnt that the meeting was attended by the acting NJC chairman, Justice Abdullahi Rtd , NJC Executive Secretary Gambo Saleh , and Bayo Ojo. “At the meeting, the strategy to force Justice Onnoghen to resign as directed by the Presidency was discussed starting with the emissary sent to the CJN by 11pm yesterday night to sign the draft resignation letter. “The plan is to keep him incommunicado to make it impossible for anybody to reach him to confirm if he was the one who signed it. “The Presidency has lso directed the Chairman of the CCT, Danladi Umar, to issue a bench warrant against the CJN to pave way for the police to arrest him. “The EFCC has also been directed to abandon the petition he sent to NJC and move in to arrest the CJN if he fails to resign today.